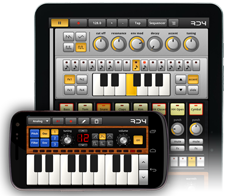 RD4 - Groovebox is a music making app with virtual analog synthesizers, drum machines and effects. 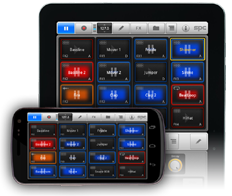 Record live or set notes with the dedicated sequencer or piano roll of each instrument. Mix, record, play and perform your own music with the SPC – Music Sketchpad! Transform your voice with RoboVox and have your voice sound scary or funny, musical, evil or like famous robots! Select! 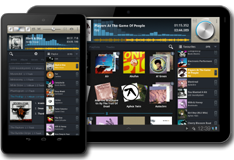 is the music player for your Android tablet. Browse seamlessly through your music collection and create playlists with ease.